When a book you edited gets a positive review in the top journal in your field, a little tooting of your own horn is justified. So: Toot! Toot! The Journal of the Philosophy of Sport published a review by Steven Piper of my Defining Sport: Conceptions and Borderlines (Lexington Books). If you have access to the journal, you can read the review online. There is an endearing honesty of endeavour to this book that renders it difficult not be persuaded by many of the claims made by its various contributors. That is not say that this book is naïve or lacking philosophical ‘heft’, indeed, quite the opposite is true. One of the main strengths of this book is that it has achieved something fundamentally necessary for any philosophical work to be successful: it has taken complex concepts and ideas and distilled them into something palatable enough for students to understand, but robust enough for scholars to refer to. It has also successfully taken work by philosophers fundamental to the discipline (Suits, Meier and Huizinga most notably) and found fresh ways to build on their fundamental ideas and concepts. This book is a fine addition to the philosophy of sport, and will ensure that students and academics alike will continue to engage in the questions that surround any attempt to define what sport is or could be for years to come. The International Association for the Philosophy of Sport(IAPS) is holding its annual conference in Whistler, BC, Canada, September 6-9, 2017. I will be attending and presenting. The title of my presentation is “The Value of Play and the Good Life”. The dominant conception of play in sport philosophy is that it is must be autotelic. This conception, though, is the subject of some important criticisms. Stephen Schmid argues that the concept of autotelicity admits of many interpretations all of which fail to provide a clear and accurate picture of what play is. Randolph Feezell argues for a pluralistic conception of play, calling for us to acknowledge the variety of meanings and usages of play when we theorize about it. This pluralism seems to push back on the idea that play must always be autotelic and non-instrumental. Additionally, it is worth noting that the empirical literature on play focuses primarily on the external and instrumental benefits that play provides. With these and other criticisms in mind, my paper seeks to move the discussion of play beyond the dichotomy of autotelicity and instrumentality. Even though most theorists acknowledge that players have mixed-motivations, purposes, and goals, there still is a tendency to treat autotelicity and instrumentality as exhausting the options for categorizing play. The underlying implicit assumption is that it must be either autotelic or instrumental: done for its own sake or done for the sake of something else. This assumption ignores or downplays a third possible category: an activity that is chosen for its own sake and at the same time chosen for the sake of something else. Drawing a parallel to the role virtue and friendship have in a broadly construed (neo-) Aristotelian ethics, I argue that play is an important part of the good human life. Like virtue and friendship, play is chosen both for the sake of its importance to the good life and for its own sake. It is partly constitutive of the good life and thus chosen as part of and for the sake of the good life. At the same time, however, play is chosen for its own sake: for what it is distinct from any further ends it might bring about. Thus, play is not autotelic, but nor is it instrumental. Recognizing play as a constituent value of the good life will allow us to integrate the internal and external, the autotelic and instrumental, and gain a better understanding of the value of play. In this episode of Examined Sport, I examine Bernard Suits’ “The Elements of Sport.” This 1973 essay applies Suits’ definition of game-playing (see the “What is a Game?” episode) to sport. Suits, Bernard. “The Elements of Sport,” in The Philosophy of Sport: A Collection of Original Essays, ed. Robert G. Osterhoudt, Charles C Thomas Publishers: 1973, p48-64. Suits, Bernard. “What is a Game?” Philosophy of Science, Vol 34, No. 2 (June 1967), pp 148-56. 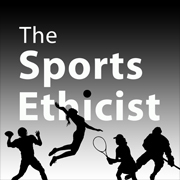 In this episode of Examined Sport, I examine Bernard Suits’ “What is a Game?” Suits presents his influential definition of game-playing in this discipline-defining article first published in 1967. University of Waterloo announcement of Suits’ death in March 2007. The Grasshopper: Games, Life and Utopia. This year’s IAPS session at the Central APA meeting in Kansas City, MO is Author Meets Critics: Golf as Meaningful Play: A Philosophy and Guide by W. Thomas Schmid. This book is part of the Lexington Book Studies in Philosophy of Sport Series. It is in production and should be out soon. Topic: Author Meets Critics: Golf as Meaningful Play: A Philosophy and Guide by W. Thomas Schmid. I’m proud to announce the publication of my edited volume: Defining Sport: Conceptions and Borderlines. Part One examines several of the standard and influential approaches to defining sport. Part Two uses these approaches to examine various challenging borderline cases (e.g. bullfighting, skateboarding, esport, Crossfit). These chapters examine the interplay of the borderline cases with the definition and provide a more thorough and clearer understanding of the definition and the given cases. See the full listing of chapters and contributors on my blog. It is available from Lexington, Amazon, and other booksellers. There is also an ebook version. The latest issue of Reason Papers, which I co-edit with Carrie-Ann Biondi, has a symposium on the philosophy of play. Christopher C. Kirby and Brolin Graham compare how play is crucial in the philosophical inquiry of Hans-Georg Gadamer and John Dewey. William Schultz looks at the evidence of the emotional and psychological benefits of play therapy for children. Aaron Harper looks at the parallels of play in the arts and athletics and argues for more integration of play into the university. Francisco Javier Lopez Frias re-examines Bernard Suits’ The Grasshopper and his conception of Utopia. The 44th IAPS conference will be held September 20-24, 2016 in Olympia, Greece sponsored by Fonte Aretusa and hosted at the International Olympic Academy. The deadline for the CFA is March 31, 2016. More info. The annual BPSA conference will be held April 4 – 6, 2016 at the University of Brighton, School of Sport and Service Management in Brighton, England. The deadline for the CFA is January 25, 2016. More info. Reason Papers is soliciting contributions for a Spring 2016 symposium on normative issues in play. We invite submissions that explore the nature of play; its developmental importance; and its role in human lives, values, and societies. We are also interested in explorations of the relationship between play and other human activities (such as other recreational activities, education, or work), structured vs. unstructured play, and children’s play vs. adult play. Submissions are due by February 1, 2016.